At today’s night broadcast VGX 2013, which began at 3:00 Moscow time and lasted three o’clock, Grand Theft Auto V from Rockstar Games won in the category «Game of the Year edition». 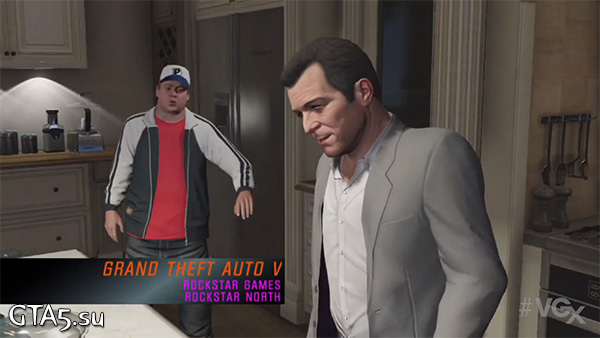 The winner of the nomination, namely GTA 5, was named at 4:00, that is, an hour after the event VGX. I think that none of you ever since the release GTA V no doubt that this is the best game of the year.